“More Products Less Time, a How-­To Zazzle eBook”. Whether you are new to Zazzle or a ProDesigner, you’re sure to find plenty of useful ideas to help you grow your Zazzle business. 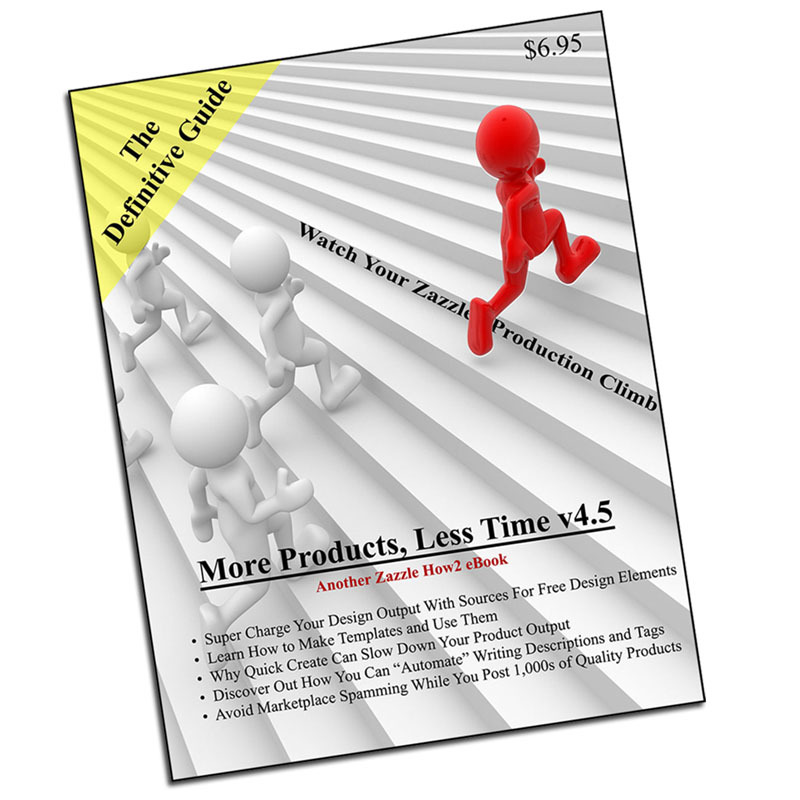 The Definitive Guide - Watch Your Zazzle Production Climb! Increase your production efficiency! More products in less time! You'll discover plenty of sources for designs - public domain images, custom shapes and fun fonts. PLUS, you will learn ways you can speed things up! Make 50 or even 100 products in under an hour! After over 100,000 well designed products we've learned a lot! And this e-book shares it with you!